MD/PhD student Clara Starkweather –2018 PhD Uchida Lab— has won the 2018 Regeneron Prize for Creative Innovation. She will receive $50,000 in prize money. After being nominated by faculty, each candidate for the award submits an essay outlining their “dream research project”, the line of inquiry they would pursue if they had no technological or budgetary limitations. Following her selection as a finalist in the national competition, she delivered a seminar on her proposal at Regeneron’s headquarters in Tarrytown, NY. Starkweather’s essay proposed new ways to investigate neural circuits that allow humans and animals to make probabilistic inferences, or predictions about what’s probably going to happen, about their environment. “For example, how do you infer that your drink is coming, versus if the bartender forgot your order? Or, how do you infer that the bus is coming (and is simply late), versus not coming at all?” she says. “My proposal focused on recurrent cortical circuits, in which neurons pass information to their neighbors, and critically, also receive inputs back from those same neighboring neurons,” she adds. It’s likely that probabilistic inference relies on recurrent cortical circuits, but documenting that activity has proved tricky. However, the ability to understand these cortical circuits may not be far away. “I highlighted recent advances in technology that could allow neuroscientists to record from different ‘layers’ of cortex, which are known to show different computational properties,” Starkweather says. She further elaborated by describing methods that could specifically target “layers” involved in probabilistic inference. Targeting neural circuits critical to probabilistic inference could potentially alter an animal’s beliefs about its environment, ultimately affecting its behavior, Starkweather says. Uchida’s mentorship was key for helping Starkweather develop these ideas. “I began my PhD as a purely experimental neuroscientist, so learning about some computational theory was an unexpected but important part of my education,” she said. 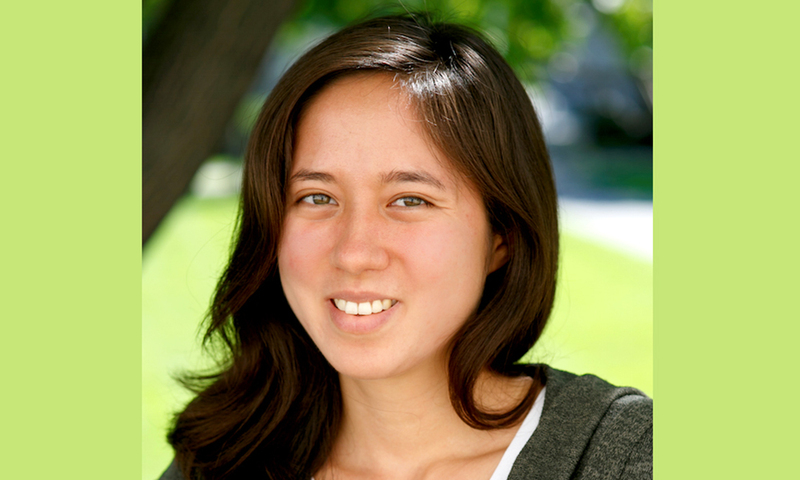 “Nao’s encouragement allowed me to develop innovative ideas at the intersection of cutting-edge experimental neuroscience and computational theory, which blossomed into my proposal for this award.” She plans on continuing to apply this interdisciplinary approach as a physician scientist and would like to thank Regeneron for their generous award.